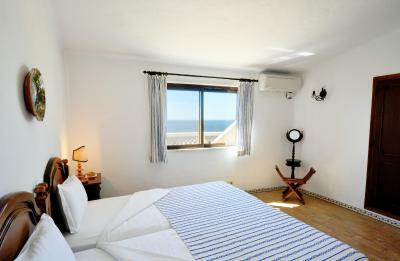 Lock in a great price for Algar Seco Parque - rated 9.6 by recent guests. I liked the lovely apartment. Friendly staff. Great pool. My 9 year old son loved the diving board. The little touches made the holiday extra special, from a bottle of fizz and card for my Mum on her birthday, to the fresh flowers in the rooms on arrival. The view is spectacular. The apartment was spacious, well equipped and clean . All of the staff throughout the Algar Seco are friendly and helpful. It is perfectly situated so that all other amenities are easily accessible. Very friendly, helpful, multilingual staff. 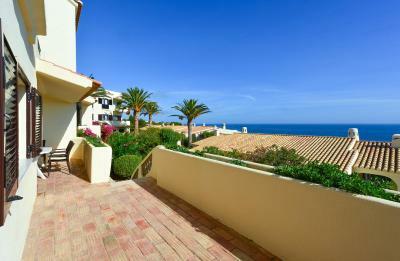 We were in the T1 Catrineta, a beautiful apartment with a large private patio and wonderful sea views. It couldn't have been any better. We were within a very short walk of the town, with lots of shops & restaurants very close by. We especially loved a little tapas & wine restaurant Le Cro on the Rua Farol. If you like good food, do not miss it. The Earth Cafe is a wonderful breakfast & lunch cafe just a short walk away. The apartment is also very close to the wonderful boardwalk along the sea. The sunrise is worth getting up early for and the sunset absolutely beautiful. We had a thoroughly enjoyable stay, Very relaxing and quiet yet within 10 mins walk of restaurants and shops. All the staff were very helpful, and we couldn’t have wished for anymore. Super accommodation and views. Very quiet and private. 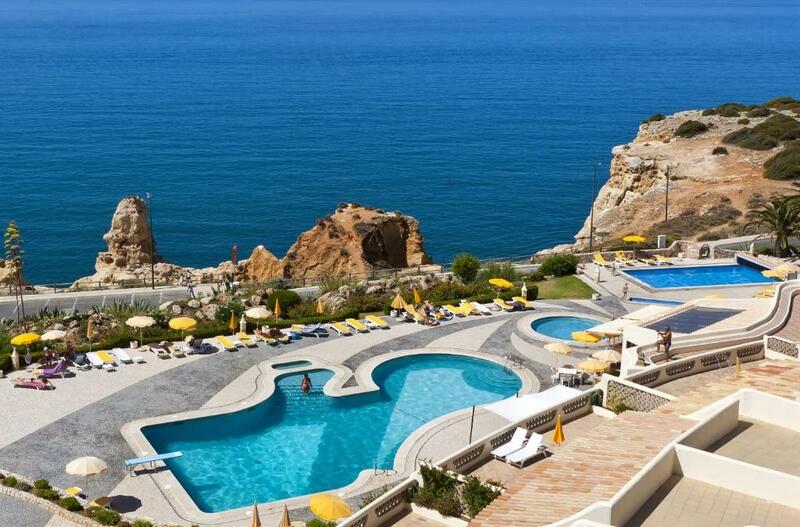 Amazing resort on the Algarve Coast with beautiful views. Grounds were breathtaking with flowers everywhere and Portuguese tile work. Absolutely gorgeous! 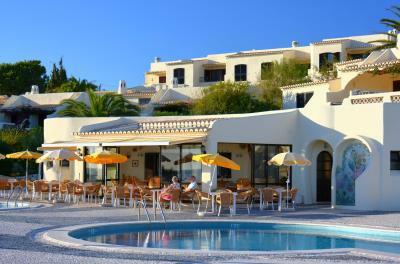 One of our top picks in Carvoeiro – and a guest favourite. Situated at the top of the hills overlooking the sea, Algar Seco Parque offers comfortable air-conditioned apartments with access to outdoor pools just a 10-minute walk from the centre of Carvoeiro, Algarve and its idyllic beach. 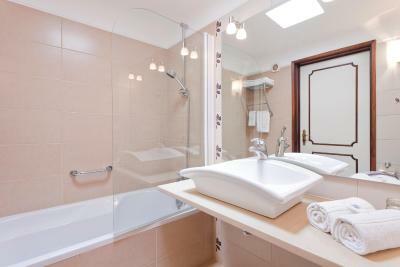 Featuring 1 or 2 bedrooms, each apartment comes with private bathrooms and fully furnished to the highest standards. Equipped with telephone, flat-screen satellite TV, a fireplace and various seating areas, each accommodation provides a relaxing overview of the sea. Guests are welcome to prepare their own meals in the comfort of their accommodation using the fully equipped kitchen provided. 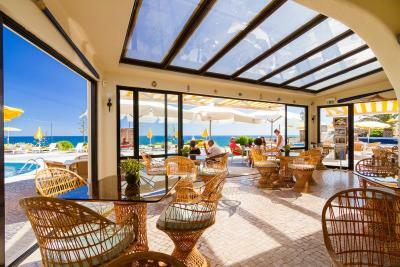 If they prefer to eat out there is a restaurant on-site with a varied menu of fish and seafood specialities. The experienced and charming staff will provide guests a comfortable stay and a full cleaning service, five times per week. Car and bicycle rental services are provided as well as a shuttle for the Faro International Airport, 39.8 miles away, for a surcharge. 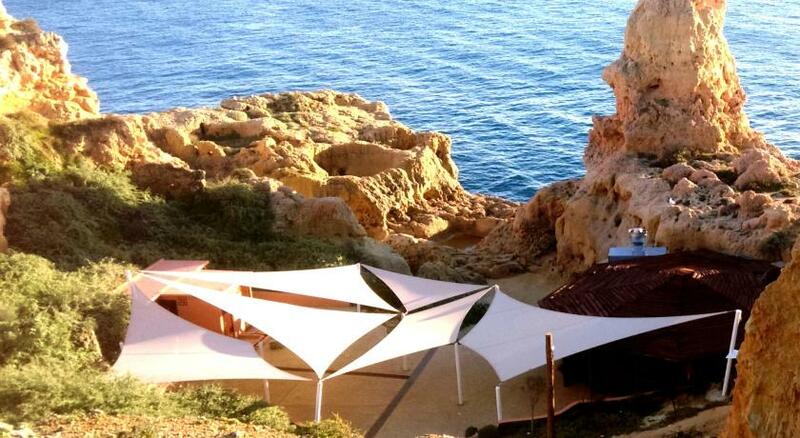 This is our guests' favourite part of Carvoeiro, according to independent reviews. 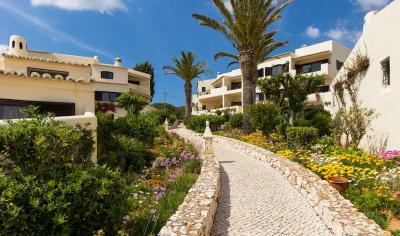 This property also has one of the best-rated locations in Carvoeiro! Guests are happier about it compared to other properties in the area. 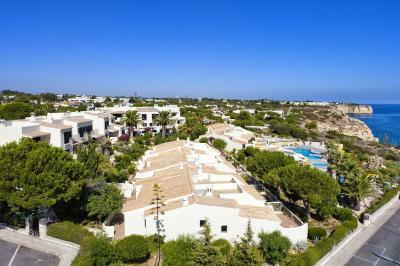 This property is also rated for the best value in Carvoeiro! Guests are getting more for their money when compared to other properties in this city. Algar Seco Parque has been welcoming Booking.com guests since 22 Dec 2014. When would you like to stay at Algar Seco Parque? 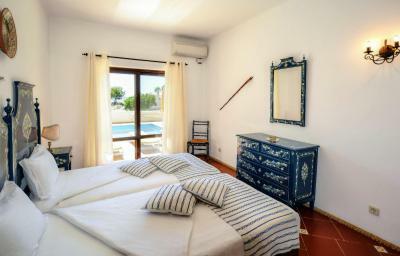 This air-conditioned apartment includes a twin bedroom, a private bathroom and a fully equipped kitchen. The living area is equipped with a flat-screen satellite TV, a fireplace and sofas. 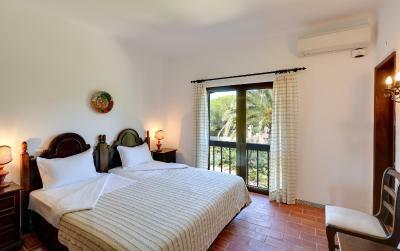 This air-conditioned apartment includes 2 twin bedrooms, 2 bathrooms and a fully equipped kitchen. The living area is equipped with a flat-screen satellite TV, a fireplace and sofas. 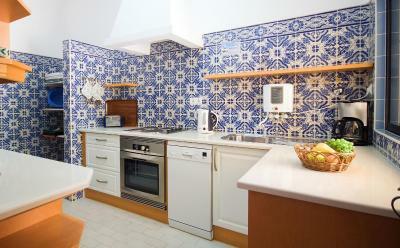 This larger air-conditioned apartment includes a twin bedroom, a private bathroom and a fully equipped kitchen. The living area is equipped with a flat-screen satellite TV, a fireplace and sofas. 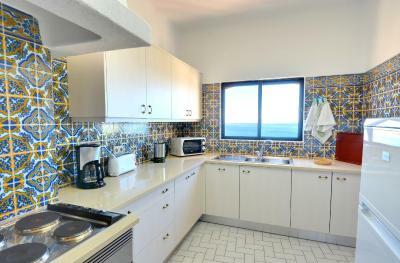 This larger air-conditioned apartment includes 2 twin bedrooms, 2 bathrooms and a fully equipped kitchen. The living area is equipped with a flat-screen satellite TV, a fireplace and sofas. 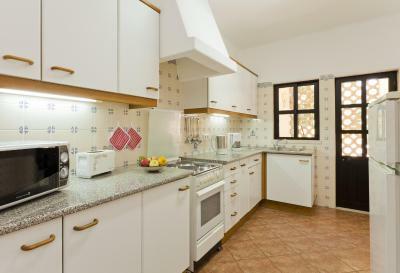 This air-conditioned bungalow is located 300 metres away from the main complex of Algar Seco Parque in a quiet residential area, above gardens and the cliffs of Algar Seco. 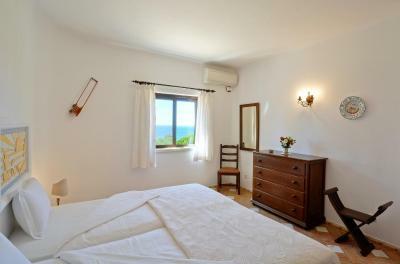 It includes a twin bedroom, a private bathroom and a fully equipped kitchen. The living room is equipped with a flat-screen satellite TV, a fireplace and sofas. 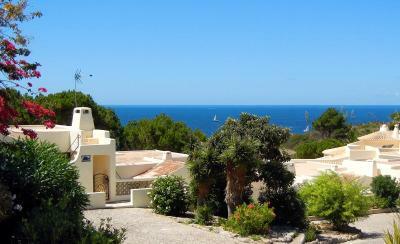 There is a large open and covered terraces with stunning sea views. This villa has a balcony, dining area and kitchen. This villa features a balcony, sofa and oven. This villa has a balcony, seating area and patio. 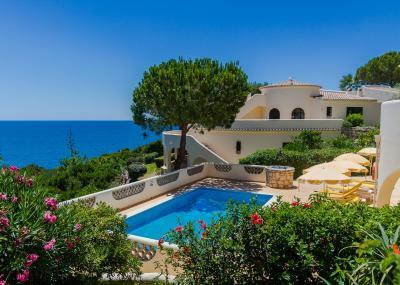 Algar Seco Parque is situated in a fantastic location: on the fringe of Carvoeiro, and right on top of the well-known cliffs of Algar Seco, overlooking the sea and coastline. Every apartment and bungalow has wonderful views over the ocean. You could spend the whole day relaxing and recharging, watching the ships pass by. Algar Seco Parque is like no other resort. From the Moorish architecture to typical Portuguese hand painted wall tiles, traditional furnishings from the North of Portugal and decorations from artists in the area, it’s Portugal right at your fingertips. On top of it, we take care of the cleaning; all linen and towels (except beach towels) are provided and changed regularly. The staff is multilingual, and we do our very best to make your stay most enjoyable. If you need help with reservations, inquiries or need anything – just ask, we’re here to help. Welcome to Algar Seco Parque. House rules Algar Seco Parque takes special requests - add in the next step! A damage deposit of EUR150 is required upon arrival, which is about GBP129.64. This deposit is fully refundable during check-out as long as there has been no damage to the property. Algar Seco Parque accepts these cards and reserves the right to temporarily hold an amount prior to arrival. Please inform Algar Seco Parque in advance of your expected arrival time. You can use the Special Requests box when booking, or contact the property directly with the contact details provided in your confirmation. A damage deposit of EUR 150 is required on arrival. That's about 129.64GBP. This will be collected by credit card. You should be reimbursed on check-out. Your deposit will be refunded in full via credit card, subject to an inspection of the property. The accommodation was lovely and hotel staff provided excellent service. Great location and ocean view from our apartment. 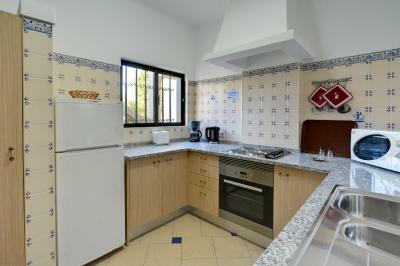 We also especially liked the fully-equipped kitchen and separate dining area. Our apartment Dourada was at the far end of the complex - a bit closer to pool would have been nice. I can't think of anything negative. The beds are not as comfortable as I am used to, perhaps a little hard. But I still slept very well and found the experience very relaxing. Provision of some basics in kitchen eg salt and pepper.